What’s it Like Receiving Free Stuff? I had been writing for WeekendNotes for quite a while before I received my first freebie. 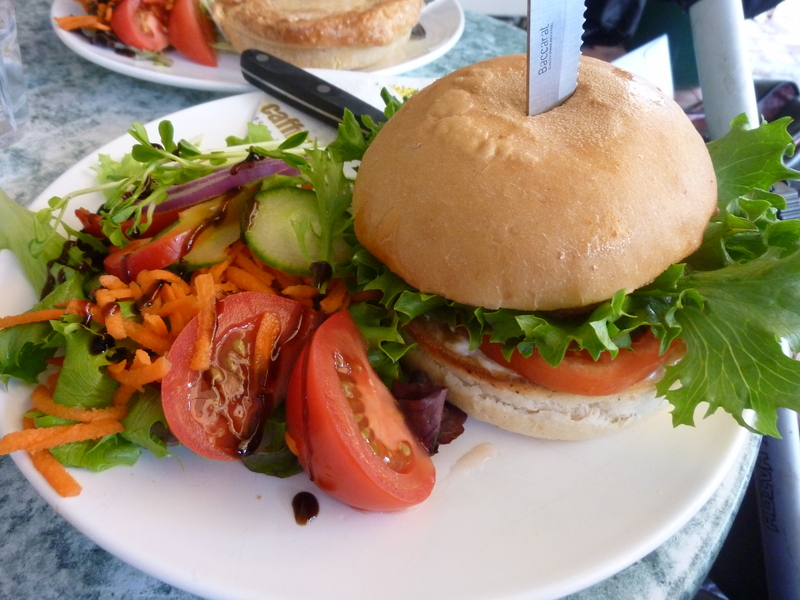 I was offered a free lunch at a café in West Perth in return for a review. I was absolutely terrified, so I took my Mum as support. As you do. But you remember that saying… there’s no such thing as a free lunch… well, this free lunch certainly changed the way I viewed reviewing. Simply put, the café didn’t like my review. I had been ambivalent about the food and I said as much. In truth, I was kinder than I would have been in a normal review. Still, the owners read between the lines and they were disappointed. As I had been in their food. Not long afterwards, they asked another writer to do a review and the result was a sickeningly sweet love-fest, that undoubtedly made the owners happy, but was painful to read. It was a great lesson and I decided at that point never to accept another freebie because I felt compromised. A knife through the centre of your free lunch isn’t terrifying at all! Over time as I felt more confident as a writer, and my ability to write candidly and fairly, I began to accept other items in return for a review. Usually they were tickets to a new movie, occasionally a book or DVD. I found it easier to be completely honest about a massive Hollywood production than a husband and wife team, whose livelihood was being discussed. The value was never more than thirty dollars and WeekendNotes had a policy of putting a clear disclaimer on the published articles in red that the write had been a guest of the company. Readers were always aware of who got their goodies for free and who paid full price. As I became a more senior writer, the freebies got bigger. An opening night to the summer outdoor cinema. A new exhibit at the state zoo. A $200 chef’s table dinner with wine matching. I wasn’t earning much money from my writing, so receiving these free tickets and items felt like a justifiable reward. I also felt that since they were contained within the mantle of my WeekendNotes writing, that it never impacted on my personal writing (my blog), and I had always been very strict about not doing any reviews or sponsored posts on Relentless. Apart from the conflict that I inevitably felt when trying to write an honest and fair review by balancing my integrity with the needs of the business, one of the main reasons why I never did sponsored posts on Relentless was that my readers didn’t want to read them. Every time I even remotely hinted at some sort of commercial enterprise – mentioning a book written by a friend for example – my readers stayed away in droves. When they read Relentless they wanted a warts and all, farts in the bathtub description of parenting. They did not care whether I had tried a new dairy product or what my favourite washing powder was. My stats made that very clear to me. And I respect that. I personally hate it when my favourite bloggers interrupt their normally hilarious or thoughtful posts to do reviews. I don’t read them. And even though I know blogging is a poorly paid (if at all) career, and writers need to earn their money somehow, if I see [review] or [sponsored] in the subject line of a post, I don’t tend to read it. And all of this is made even more cringe-worthy because now I am working for a great online shopping company. I write posts on their blog about general parenting topics, often including links to their products, and yes, receiving the occasional freebie. But because I am asked to do shout outs on Relentless, I am asking my readers to read them. Let’s be clear, I don’t have a problem with people (including myself) doing reviews. When I am researching a product or place I would much rather hear what a consumer has to say than whatever guff the marketing agency comes up with. This is why I not only write for WeekendNotes, but I also read other people’s articles when they’re relevant to me. I also google forums and even glance occasionally at sites like Urbanspoon because people tend to let loose when they’re writing anonymously. I have more readers over at WeekendNotes than at Relentless, precisely because they want to know what I think about a place and they know I am going to tell them. What I am trying to do now, is balance the needs of readers who just want straight stories and no sponsored posts, with my own need to earn an income, with the needs of readers who would be interested in reviews and other articles if they deem it relevant, with the needs of the businesses who employ me. The key is transparency. I’m going to do it anyway, but I need to be able to flag to readers what I am writing about. Some other bloggers like to use hashtags in their post titles, but I would just feel silly doing that since I’m not on Twitter and I don’t really know what a hashtag is. So I decided Relentless needed a disclaimer policy. Any post for which I received a product for free and have chosen to review it, I will now add [review] in the title, and if it is an article I wrote for Mamadoo (whether it contains product mentions or not) it will now include [Mamadoo] in the title. It’s messy, but it’s a lot fairer than waiting until the end of the post before mentioning that money exchanged hands. Awkward! But I still haven’t answered the question have I? How does it feel receiving free stuff? The excitement is pretty similar to when you get a big package you paid for (or a small package, they’re cool too) but with the freebie comes a price. Perhaps some writers don’t experience this, but I admit I do. I want to like the product. I want to write positively about it, but I want it to be natural and genuine. Readers can tell when you’re lying through your teeth, and some of my readers are good at reading between the lines at what I am not saying. And what happens when you have an issue or problem with the product? Do you go back to the supplier privately or do you fulfil your end of the contract and do a public review, warts and all. As a reader I want to say ‘write the review’, as a writer, I sometimes feel the area is more grey. How do you deal with sponsored posts? Do you find a difference in your readership when you publish a normal post versus a sponsored post? Do you think it puts some readers off? I have that experience on a fairly regular basis when I read a column by Perth writer Ros Thomas, every Saturday morning in the West Australian. Although she is a few years older than me, and her eldest child is a teenager and a boy, and she is actually qualified to call herself a writer (she was a journalist for more than two decades), I often feel that her words could be my very own, and the experiences she writes about, could be something that happened to me only days prior. It’s kinda spooky, but it gives me the (false) impression that I KNOW her, or (even more creepy), that she knows me. Which she doesn’t. She smiled at me once though and looked in my direction. I went with a friend to one of her book launches, because my friend actually knows her, and was kind enough to introduce me. And then they went back to talking about stuff that I wasn’t involved in. But that was okay, because I was so excited to just see her in person. When you read someone’s words regularly, you begin to form ideas of what they look like and sound like, more than the tiny little photo in the corner of the magazine ever gives away. When she began to talk to the assembled group about some of her favourite columns and how she came to be a writer, I did what I always do when people around me are being smart – I began to write down everything she said. Part of me (the overly optimistic and possibly delusional part) sometimes thinks that she is me in five or ten years time, and that her writing success could be mine if I continue down this road. She is a mum with three kids who is also a writer. So am I! She just happens to have a book deal. So I was eager to soak up everything she had to say. At one stage I felt that she was describing me when she said that sometimes she jumps out of bed to write down a funny thought, that she is constantly writing notes, ideas and overheard conversations on bits of paper. I wanted to put my hand up and tell her I keep a white board in the shower in case I get a really good idea when I am washing my hair (but I didn’t). Don’t write about anything you haven’t experienced yourself. It will keep you authentic and on track. Writing is a discipline. Force yourself to sit at your desk even if you are not inspired, eventually something will come. Do a lot of research. Even for a simple story, there are more facts or background that can help improve a story and make it even richer. Be forensic in your observations. Go back to a place where a thought or story came into your head. Take pictures. Look at the colours, the smell, the texture. Make it authentic. If you are secure in your mental imagery, it will make you a better writer. Remember the musicality and rhythm of language. Your writing must be able to be read effortlessly. The hardest thing to get right is dialogue. If you are writing about a conversation you had, get it on paper as soon as possible. At the end of the session we had the opportunity to buy a copy of her book and have it signed. I desperately wanted to ask her an intelligent question, but I could only babble my name. I wanted to tell her how she told my stories, and asked my questions and (occasionally) lived my life. But as I listened to other people in the queue, I realised that they all felt the same way. They felt an attachment to this woman as well, whether they were young or old or male or female. Mostly female though. 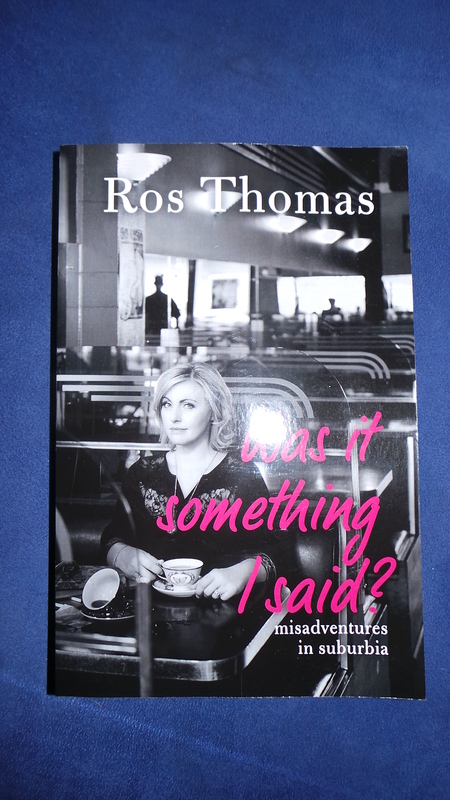 Ros Thomas put into words a common experience. She just does it very beautifully, and effortlessly. I wasn’t able to tell her any of this, but I’m sure she already knows. 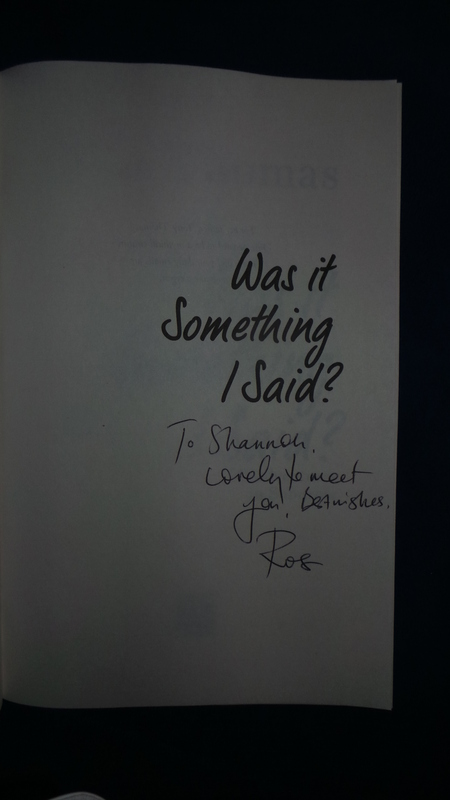 When I got home and looked at the book she had signed, I saw she had written ‘it was lovely to meet you’, and I thought to myself: thanks to the power of words, we already know each other.